Sanskrit poets dedicate much time to describing nature – often an idealised nature – in all her glory. For many readers, even for those in India, it can be hard to picture the description of a luxuriant forest grove or a tree-lined seascape full of flora with beautiful but foreign names. If you do not know that the malati jasmine is white and the ashoka tree’s flowers red (as in the picture above), you will find it difficult to appreciate their comparison to the pink lips and bright teeth of a woman’s smile. 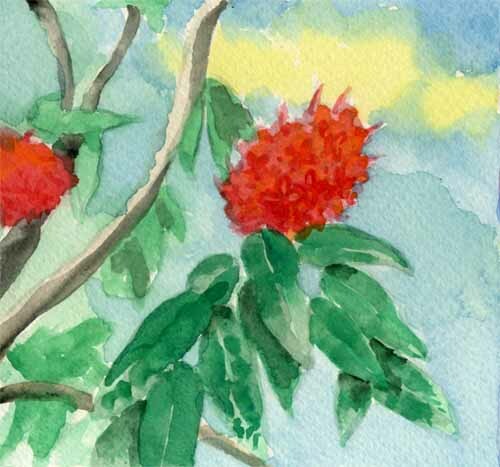 Tomomi Sato, a student at Australian National University, has created an illustrated catalogue of the plants and trees of Kalidasa’s Meghaduta. 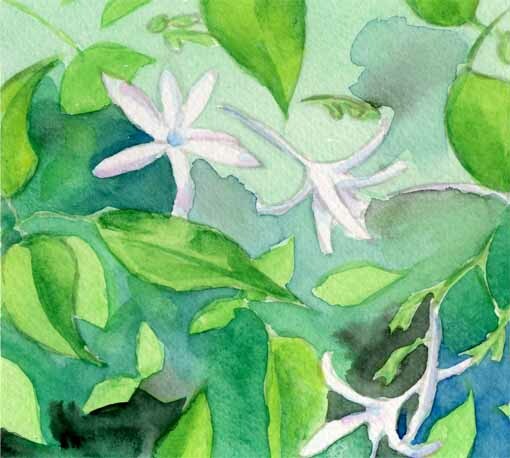 The online site presents Tomomi’s watercolour paintings of the 26 plants, from the japa (at bottom of page) to the yuthika (below), found in the poem, along with the verses in which they appear. 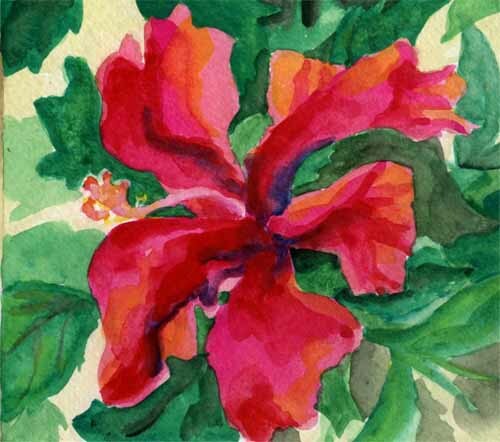 Tomomi referred to photos and descriptions in botanical catalogues to paint each as faithfully as possible. The result is a series of colour-rich illustrations, simple and vibrant – perfect, in short, for Kalidasa’s elegant verse. Tomomi was only able to find one other translation of the Meghaduta into Japanese, published in 1962, and says that the poem is barely known in Japan where most Sanskrit interest revolves around Buddhism. A kavya-enthusiast, she hopes to try a few more translations into Japanese in the future. The only disappointment in this project is that the artist didn’t attempt a description of the legendary ‘kalpa-vrksha’ – the wish giving tree – which, as she quotes, “produces anything one would desire, and hence anything celestial beings need, such as clothes, ornaments, and foods, would spring out of the trees”. This must be left to the reader’s imagination. Mere words cannot express my feelings on experiencing such beautiful paintings! A treat for the soul!